Snugglebug University: Introducing the Mermaid (and Fish and Seastar) Pattern! Introducing the Mermaid (and Fish and Seastar) Pattern! Two patterns in one week? I'm excited! Ok, truthfully I'm mostly just excited to have them done...because geez, writing up patterns is a lot of work! I'm hoping that you are excited about them though! I really love this new pattern which is available for purchase now in my Craftsy Shop or my Etsy Shop. 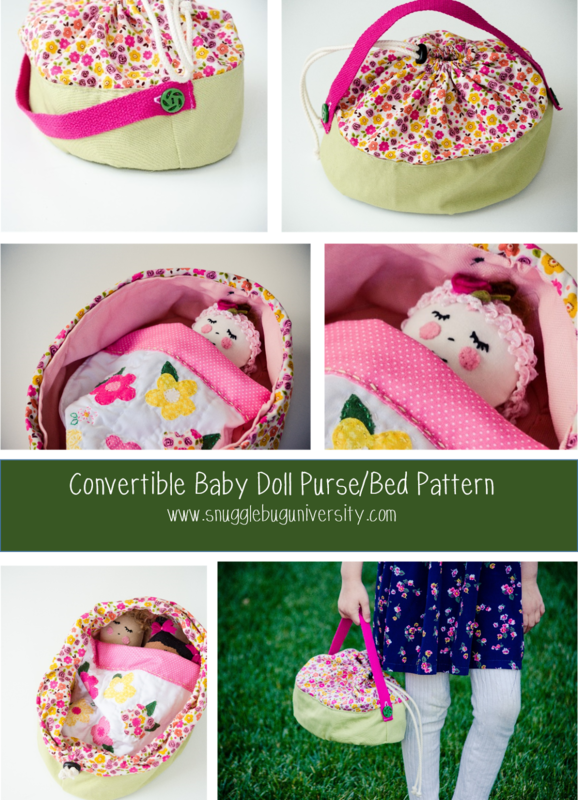 It's one of my larger patterns because it provides instructions for 3 different stuffies. 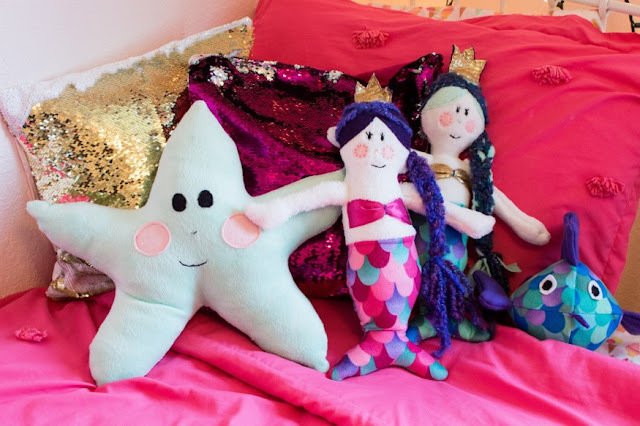 There's instructions for a sea star pillow, a this cute little fish, and a mermaid doll. 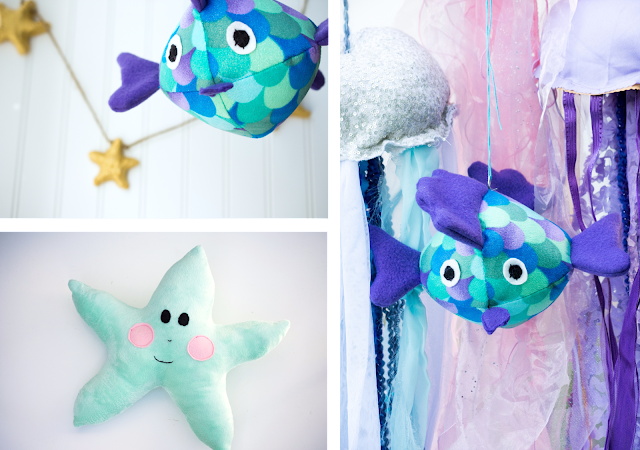 The fish is about 7 inches tall and wide and I'll even show you how you can make it hang from the ceiling if you'd like! The sea star is about 15x17 inches. 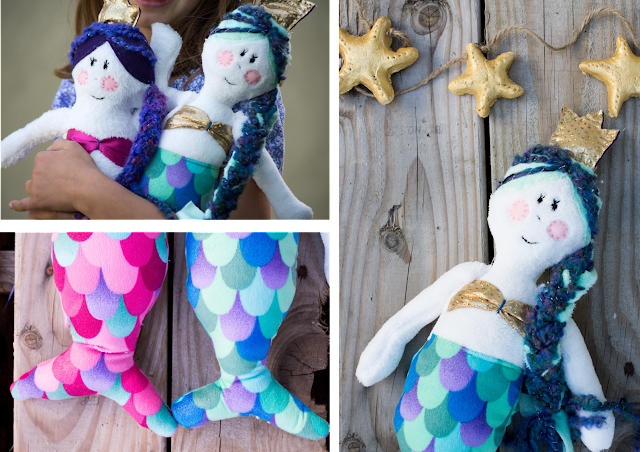 And then there are these lovely little mermaid ladies. I don't think it's surprising that these little ladies are my daughter's favorites! 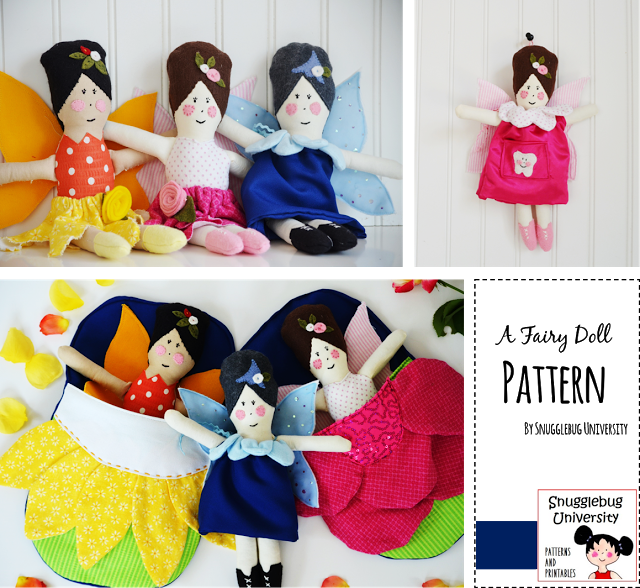 They are about 14 inches tall, and because they are made with soft and cozy fabrics they are very snuggly! 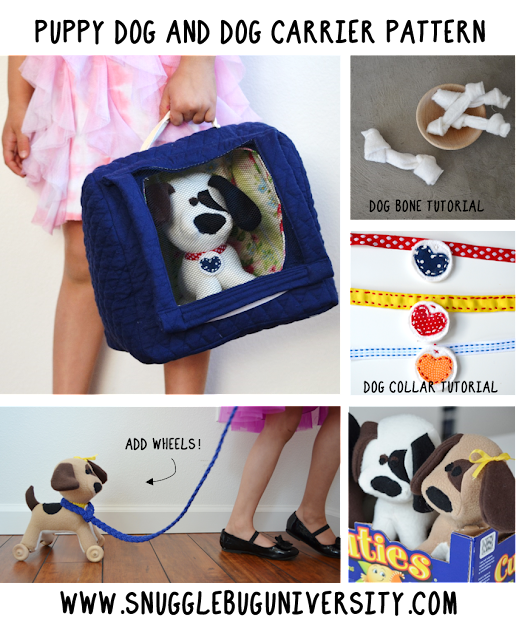 •Sewing straight and curved seams, back-stitching (and when to use) with a sewing machine. •Ability to adjust length of stitch on your sewing machine to make stronger, smaller seams. •Using hand-sewing (the Ladder stitch) to close the doll/stuffie body (some experience is helpful, but not required). •Some experience transferring an image (the face template) onto the fabric (for embroidery) is helpful, but not required. 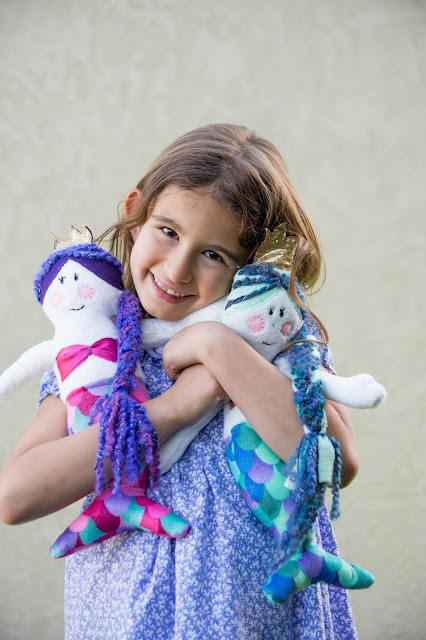 •Knowledge of basic embroidery stitches is also helpful but not required. 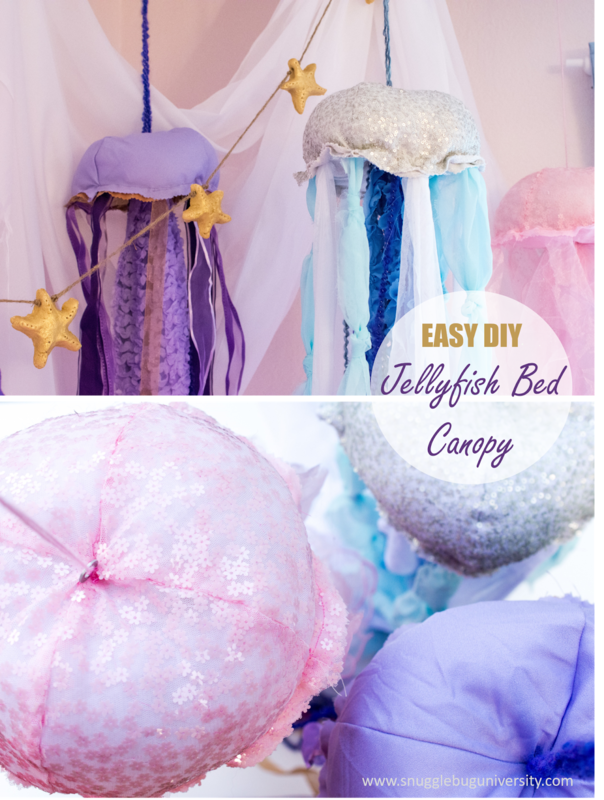 Those of you that have been following my blog for a while know that I like to accompany my pattern releases with a tutorial here on the blog. 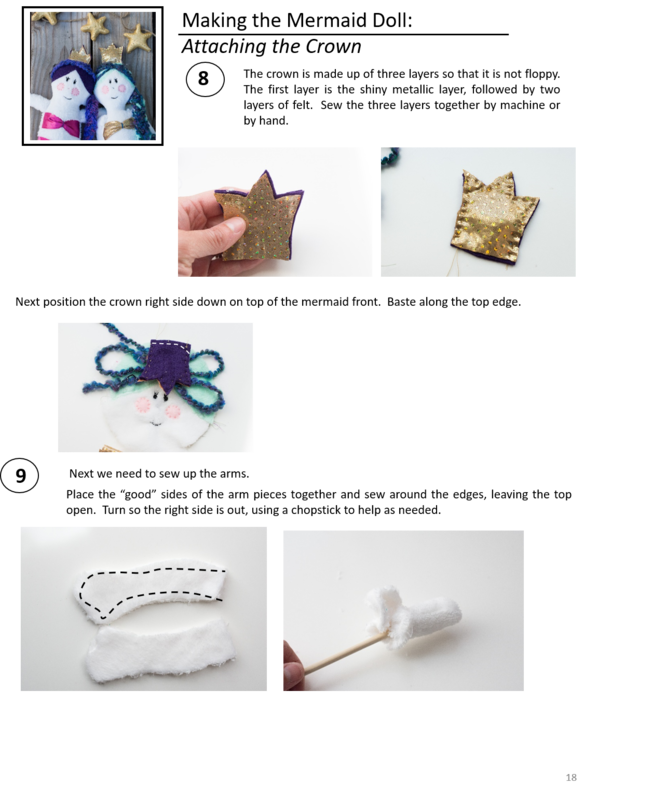 Next Monday you'll be able to see the whole tutorial for a completely different (and secret!!!) sea creature. 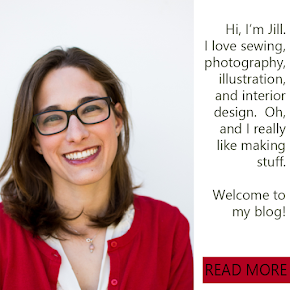 It's a great way for you to get an idea of what my pattern is like. Are you excited to know what the pattern is for? I can't wait to show you! 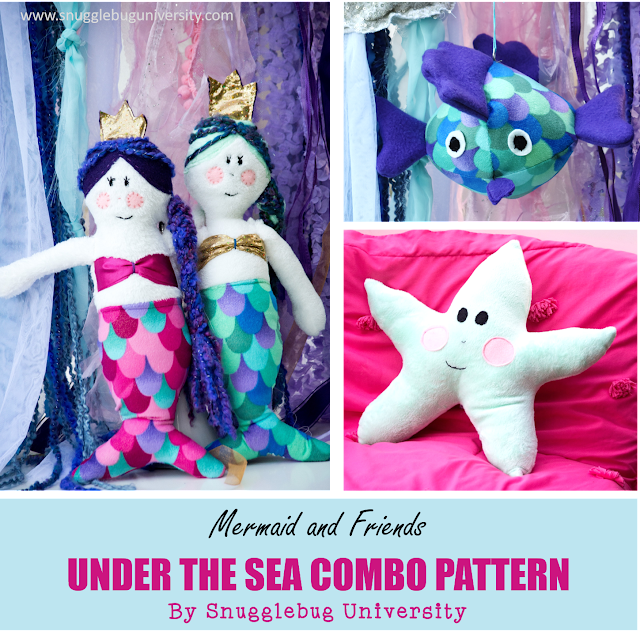 If you have any questions about this pattern though, feel free to leave a comment below (or send me an email at snugglebuguniversity (at) gmail (dot) com. 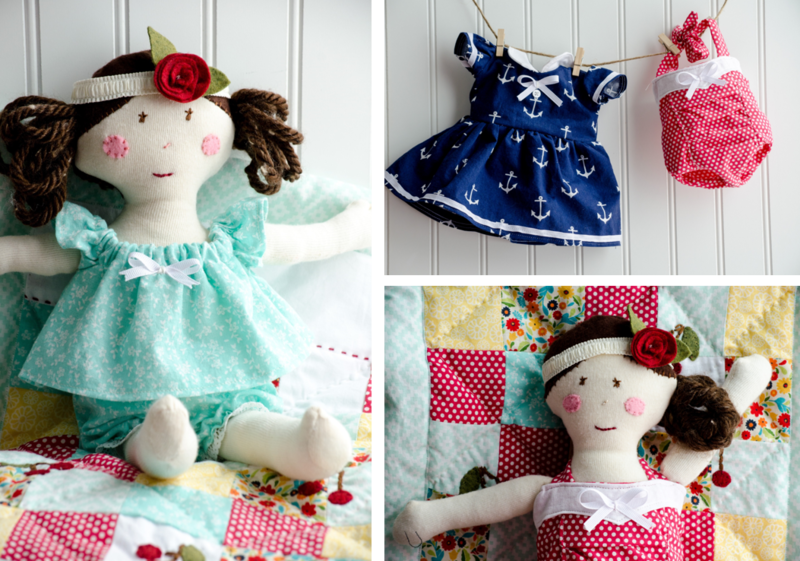 You can purchase this doll pattern in my Craftsy Shop or my Etsy Shop.